The Kickapoo girls set a state record by hitting 37-of-53 free throws to help claim the Class 5 championship with a 63-53 win over Kirkwood on Saturday at Mizzou Arena. 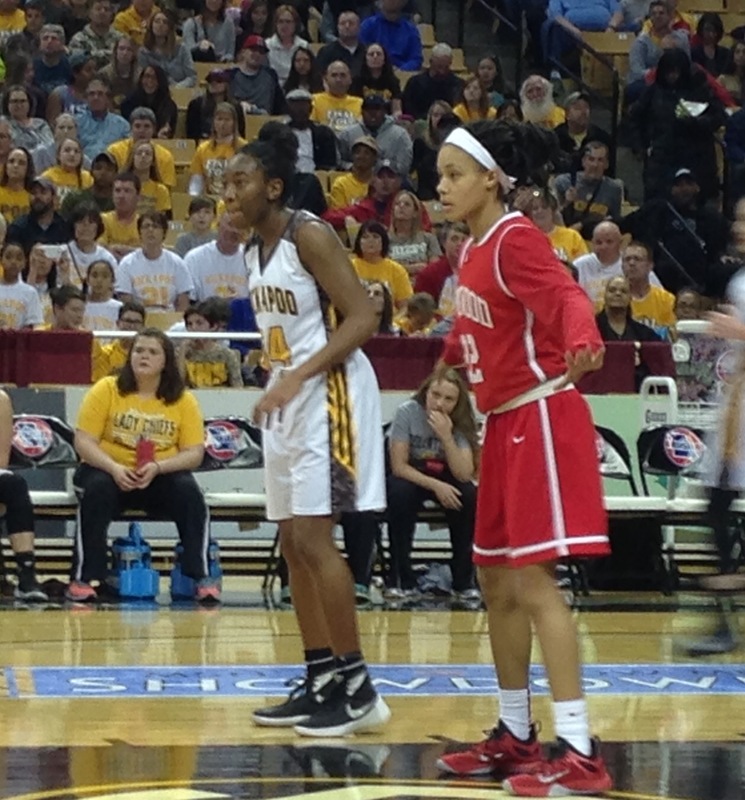 Jordan Sanders led Kickapoo with 20 points and 15 rebounds, bouncing back from personally tough semifinal game that saw her battle foul trouble. Her free throws with just over a minute to play in the first half put the Chiefs up 27-26, a lead they would never relinquish. Audrey Warren also finished with a double-double with 12 points and 10 rebounds. Jordan Wersinger scored 14 and Laura Vierkant scored 12. Kickapoo claims their sixth state championship, finishing the year 29-3. 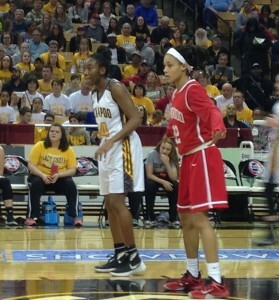 Kirkwood was led by sophomore Jayla Everett who scored 24. Jordan Roundtree added 16. The Pioneers finished 26-5. Chaminade’s Jayson Tatum, a Red Devil who will become a Blue Devil under Coach K at Duke, scored 40 points and pulled down 14 rebounds to hold off the Chiefs in the Boys Class 5 championship in a 72-59 final. 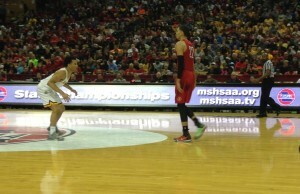 Chaminade saw a 15-point halftime lead cut to one, but Kickapoo was never able to get over the hump late in the fourth quarter. Michael Lewis drained back-to-back three’s to build a 64-56 lead. Chaminade ended the game on a 14-3 run. Three Chiefs scored in double figures. 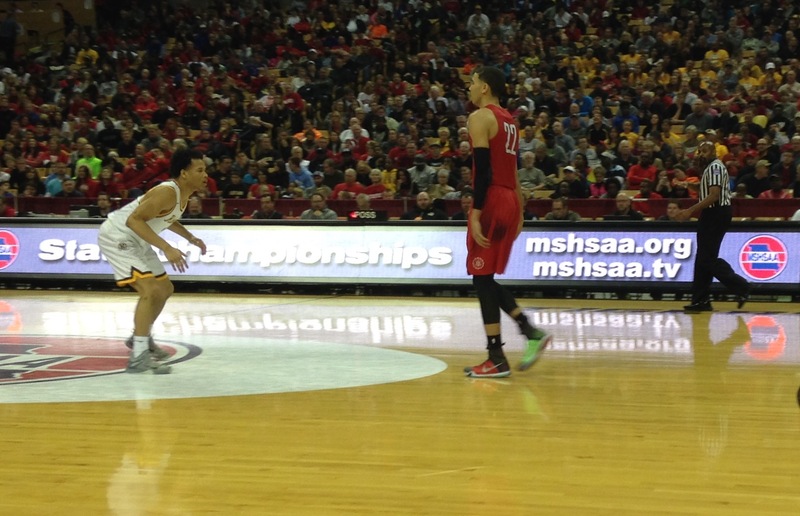 Cameron Davis had 17 to lead Kickapoo, who finishes the year 29-3. Chaminade had 57 of their 72 points come from Tatum and Tyler Cook who added 17 in his game high 32 minutes.